The politicians are a sign of a watershed moment for the industry, according to Vahan Ajamian, an analyst at Beacon Securities Ltd.
“It is difficult to overstate the impact of this monumental event for the U.S. cannabis sector,” he said in a note Wednesday after Bloomberg broke the news. The two former Republican politicians join Acreage as current officeholders vacillate on their support for weed. President Donald Trump has gone back and forth, while Attorney General Jeff Sessions is a longtime opponent. The Justice Department in January rescinded the Obama-era policies that allowed state legal pot markets to flourish. Both Boehner and Weld say they’ve never tried the drug, but adult recreational use is legal in nine states and Washington, D.C. That means more than one in five American adults can partake. Twenty additional states allow for some form of medical marijuana. The legal market is expected to reach $75 billion by 2030, according to the investment bank Cowen & Co. Still, the drug remains federally illegal and is classified as a Schedule I narcotic, the harshest of five government ratings. 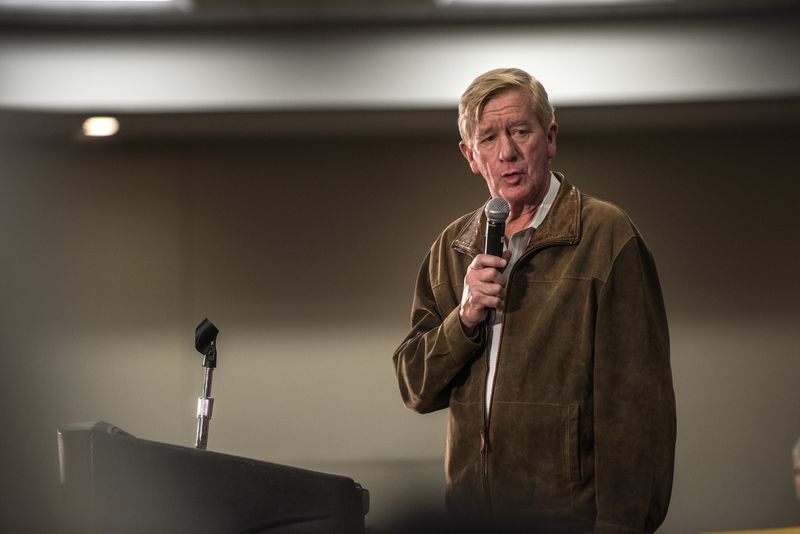 Weld said he’s been in favor of medical marijuana since 1992 and supported the referendum that legalized recreational pot use in his home state in 2016. “I was a little bit ahead of the field there,” he said in an interview. Even so, his belief in the functionality of the plant has grown, he said, especially when it comes to easing the opioid crisis. “Cannabis could be perceived as an exit drug, not a gateway drug,” he said. 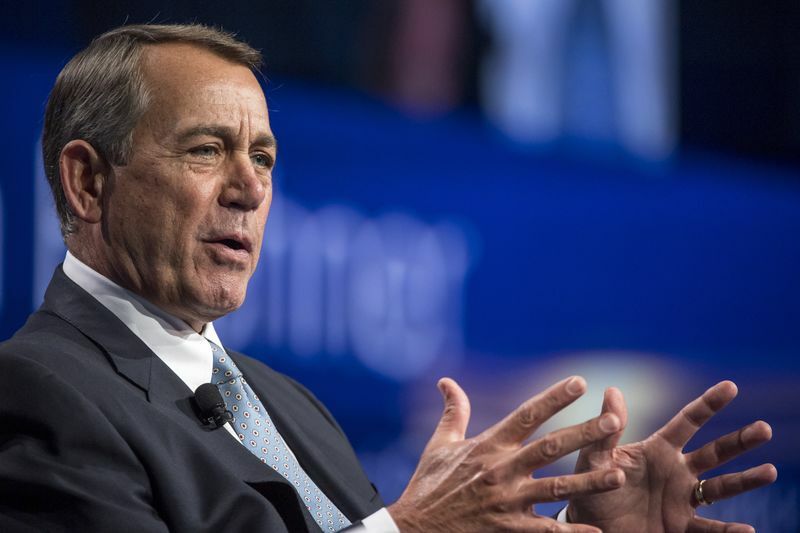 Boehner said his perspective shifted after he saw the plant’s efficacy in helping a close friend deal with debilitating back pain. Marijuana’s potential use as a treatment for veterans helped sway him, too. Plus he’s been studying the problems of the U.S. criminal justice system for years. On top of all those reasons to support the plant, Boehner and Weld say the debate over legalization is, at its core, a discussion of the 10th Amendment of the U.S. Constitution, which allows states to do what they want. Despite the GOP mostly lauding the amendment, Republican politicians have been split on the cannabis issue. Sessions’ harsh words for marijuana, and his decision to roll back Obama-era protections, didn’t deter Boehner or Weld’s decisions to get involved with the industry, they said. The politicians’ years in public office may help the company navigate the winding road to federal legalization. “When it comes to an issue like this, that has what I’ll call murky legal issues and political issues, we’re there to provide advice to Acreage in terms of how they work with state and federal governments, how they work with local governments and advice on what states look promising,” Boehner said. Neither Boehner nor Weld has made a financial investment in Acreage, though Weld says he’s considering it. « Miguel Daz-Canel Is the New Cuban President: Whos Really Running Cuba?